While smokeless cigarettes, de-caffeinated coffee and non-alcoholic beer may have takers, the question remains whether Union Budgets without taxes would generate the same excitement that it does today. Hearing the shrill debates on TV channels, it is very clear that lower taxes draw cheers, while higher taxes deepen the frowns and groans. Given this predictable reaction, we could examine Arun Jaitley’s budget against a very simple framework of why taxes need to be levied and from where it can be collected. 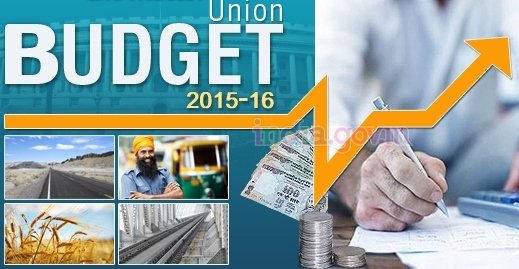 How does the Union Budget 2015 (UB-15) stack up against this framework? The imperatives for any government in India now is quite clear: promote rapid economic growth to eliminate wide spread poverty plaguing the country, without diluting the aspirations of the growing upper-middle class Indians who seek the quality of life seen in the western world. Given these conflicting demands, UB-15 is a balancing act that can be benchmarked on the clarity of the articulated vision, the resources allocated for realizing it and the plan to utilise the given resources. No prudent mind will disagree with the 2022 vision laid out: an accessible and well-lit house for every family, a job for at least one family member, economically sustainable agriculture, access to affordable health care and education, going beyond primary schooling up to the secondary level. All this has been envisioned not for any one part or region, but across the length and breadth of India. A cynic could say that this well-crafted articulation is a conscious effort to dilute the pro-corporate image of this government. However a kinder soul would point at this clarity representing a mind deeply engaged. Where does the truth lie? Has the richness of vision been accompanied by adequate resource allocation and concrete plans for utilising the same? The need to defray cost of essential services like defence, law & order and administering the State by collecting taxes is conceded by even the most extreme right winger. UB-15 provides Rs.8.2 trillion for this purpose under the head General Services, accounting for 46 percent of the total expenditure. A closer look reveals that 27 percent of the total expenditure would go towards interest and debt repayments, leaving only 19 percent for essential services. The increase of 9.6 percent over the revised budget for the previous year is also mainly accounted for by the increased outflow on account of interest and debt repayment. Following the almost unanimous consent for essential services, popular support for the role of the State as an enabler of economic activity is widespread. The frequent uproar witnessed when price of essential commodities soar and the central role played by transport, especially railways in India, indicates what the government focuses on. With the two heads – railways and food storage & warehousing – accounting for a lion’s share under this category, 33 percent of the total expenditure has been allocated for Essential Services. Amounting to Rs.5.8 trillion, it signifies a growth of 2 percent over the previous year. However, even a casual look at details points to the prominent role in this played by the prevailing favourable international petroleum prices, which has contributed savings to the tune of Rs 300 billion towards the 2015-16 budget allocation. As societies evolve, the State’s concern transcends from providing basic needs revolving around physical safety to creating social infrastructure represented by investment in education, healthcare and broader social security nets. These social investments create the civic spirit that binds a nation together. Compared to the first two allocations, only 4 percent of the total expenditure amounting to Rs 0.71 trillion has been allocated for social services. When measured against the previous year, it still represents a substantial increase of 24 percent. However, viewed in the context of the grand vision articulated for 2022, this increase, impressive as it is in percentage terms, translates to only Rs137 billion, leaving a lot more to be desired. After the three main heads mentioned above, the remaining 17 percent of total expenditure amounting to Rs 3 trillion is accounted for by grants and contributions made to the State governments, Union Territories and Other countries, which is a reduction of around 8 percent from the previous year. Feeling the pinch: Who pays? Expenditure budgeted in UB-15 is proposed to be financed substantially by taxes, with a smaller share coming from non-tax revenues consisting of interest, dividend, profits and chargeable services provided by the government. In addition, some portion of the expense is left unfunded, as fiscal deficit to be met with surplus in later years. While many are focused on the quantum of deficit, the quality of deficit too matters. Deficit that creates assets both physical and social is welcome, in contrast to expenditure-led deficits. Viewing spends on social security net as an investment may be the way to go, as eradicating poverty will, over time, provide returns to wipe off the deficit. In his budget speech, Jaitley highlighted the value of taxation as an instrument of social and financial engineering. Given this awareness, has there been any notable change in the composition of revenue generated by UB-15? Socially conscious economies raise a greater share of their resources from direct taxes in preference to indirect taxes. Being progressive in nature (as they increase in proportion to size of income), direct taxes factor in the marginal cost to tax payers; therefore, they impose a lower burden on tax payers as a whole. UB-15 reduces the share of direct taxes to the total tax revenue by 1.3 percent. This reduction is entirely on account of lower tax collections budgeted from the corporate sector. The increase in Service Tax from 12.36 percent to 14 percent that compensates for this corporate concession is paid for by the largest section of our population. Seen this way, the view that the 2015 Budget is pro-corporate cannot be entirely discounted. What is visible beyond the numbers? Eliminating poverty is an essential prerequisite for a cohesive and fiction-free society. Starting in the 20th century, taxes on income, wealth and estate have been used to eradicate poverty. In this context, removing wealth tax could have been viewed as a negative. However replacing wealth tax with 2 percent surcharge on the super-rich is a welcome step, on the grounds of economic efficiency. One may even be enthused to wonder if this 2 percent can grow to compensate for the absence of estate duty. The move to curb black money in our economy is commendable. The new proposed laws have provisions for stringent punishment through rigorous imprisonment and stiff penalties, not only for the concealers but also the ‘abettors’, which includes bankers and Chartered Accountants, I presume. Combining this with the Benami Transaction (Prohibition) Bill, we can not only hope for a black-money free economy, but also dream of a corruption-free society. Enforcement of these laws will decide whether our dreams will see the light of the day. The move towards universal social security is a welcome step. Cover for life and accident insurance and old age pension for a nominal payment are commendable steps. Combined with free universal primary education and free healthcare, this would take India, on paper at least, closer towards a comprehensive social security net, much needed for a country that houses the largest number of poor people and children suffering from malnutrition globally. There are many other features, small but having significant potential for the future. I feel the Finance Minister has sowed the best of seeds, with his request to members who are better-off and in the top-tax bracket to give up LPG subsidy voluntarily. This is a commendable move. I would request, our Finance Minister to periodically publicise the number of people who have given up this subsidy. In the manner of Oliver Wendell Homes, the American jurist who said ‘I like to pay taxes. With them I buy civilization,’ the Indian affluent too could perhaps participate in buying a better Indian civilization by reducing the burden on the exchequer. Shankar Jaganathan is an entrepreneur, author and economic historian. Founder & Chief Executive of Cimplyfive Corporate Secretarial Services Private Limited, he has authored two books The Wisdom of Ants, A Short History of Economics published in 2012 and Corporate Disclosures, The Origin of Financial and Business Reports, published in August 2008.